Progressive Charlestown: Last Round-up for Monsanto? California’s official listing of the world’s most widely used weed killer as a known carcinogen marks a milestone in what has been years of debate over the safety of the pesticide called glyphosate. But it by no means marks the end of controversy over the chemical, or arguments over what warnings – if any – should be placed on an herbicide that is a mainstay for U.S. farming and for maintaining household lawns and gardens, city parks and school grounds. Officials with California’s Office of Environmental Health Hazard Assessment (OEHHA) have until early April to work out guidelines for glyphosate product warnings before requirements for such warnings take effect in July 2018. At the same time, OEHHA continues to face a court challenge from Monsanto Co., which introduced glyphosate more than 40 years ago, and makes billions of dollars off glyphosate-based Roundup herbicides. The chemical, now off patent, is also active in hundreds of other herbicide products. “This is not the final step in the process... We will continue to aggressively challenge this improper decision,” Monsanto said in a statement. 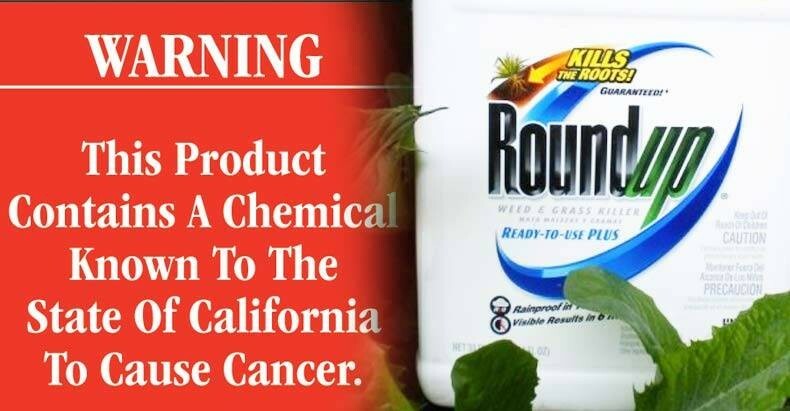 California’s move to list glyphosate as a known carcinogen was triggered by the March 2015 decision by the International Agency for Research on Cancer (IARC) to classify glyphosate as a probable human carcinogen. Under a state law known as Proposition 65, California is required to add a chemical to a list of known cancer-causing substances if it garners such a classification by IARC. The law then requires businesses to notify Californians about significant amounts of listed chemicals in products or released into the environment. A particularly contentious part of the ongoing battle now surrounds what level of exposure California might allow without any warnings. The state has proposed what some see as an overly generous “safe harbor” or “No Significant Risk Level” (NSRL) for glyphosate at 1100 micrograms a day, meaning exposure levels and discharges into drinking water sources below that benchmark would be exempt from warning requirements. That level is significantly higher than amounts that have been shown to have cancer-causing effects in several animal studies, however. Critics point to studies that have shown tumor developments in animals at doses of glyphosate lower than 850 mg/kg/day and even lower than 250 mg/kg/day. “That NSRL would not be sufficiently health protective… We strongly urge OEHHA to uphold its statutory purpose to protect humans from the harmful impacts of glyphosate and lower the NSRL…” a group of scientists and environmental and food safety advocates told OEHHA in a letter. Nathan Donley, Senior Scientist with the Center for Biological Diversity, said the research OEHHA relied on showed an “uncharacteristic” dose response to glyphosate, and if OEHHA would take other studies into account it would result in a dramatic lowering of the NSRL. “The implications are enormous and it’s incredibly important that they get this right,” he said. Adding intrigue to the debate, lawyers for scores of cancer victims currently suing Monsanto over Roundup have turned up documents showing that before California regulators set the NSRL they met privately with Monsanto. Documents obtained from OEHHA include notes from one October 7, 2015 meeting between OEHHA staff and Monsanto officials and indicate the parties discussed the company’s ideas about an calculating an NSRL and what studies should be looked at for development of that NSRL. Among the attendees listed on an OEHHA memo were the agency’s Chief Deputy Director Allan Hirsch, Deputy Director for Scientific Affairs Melanie Marty, and Chief Counsel Carol Monahan-Cummings. The handwritten notes indicate that there was some discussion of what has long been a Monsanto talking point on glyphosate – that if glyphosate isn’t used, other, more-toxic herbicides might be used instead. California attorney Pedram Esfandiary, whose firm is representing multiple cancer victims suing Monsanto, also believes California regulators have not incorporated adequate study data into their calculation of the NSRL. He said evidence developed through the litigation pending in federal court against Monsanto shows the company has withheld important information regarding glyphosate carcinogenicity. Some documents obtained through the litigation have already prompted an investigation by the inspector general for the U.S. Environmental Protection Agency into whether or not an EPA official engaged in collusion with Monsanto regarding the safety assessment of glyphosate. And there are many more relevant documents the lawyers are working to unseal now. OEHHA spokesman Sam Delson defended the agency’s proposed NSRL but said it is possible that OEHHA could change the NSRL for glyphosate as the agency reviews the input it has received from outside parties. NSRLs are developed to determine the level of exposure from an individual source that would cause a 1-in-100,000 lifetime cancer risk. Several of the state’s Prop. 65 listings have drawn controversy and litigation but none have created the uproar that glyphosate has, according to Delson. “The decision to list glyphosate as a cancer cause has drawn by far the largest number of written comments ever received,” he said. More than 10,600 comments were submitted to OEHHA regarding the glyphosate listing and the NSRL issue. The deadline for adoption of the NSRL is early April, Delson said. The goal is to have the NSRL finalized before the warning requirement takes effect in July 2018 so that companies will be able to determine whether they need to provide warnings and/or reformulate products in ways that allow them to avoid the need for warnings. Food products containing glyphosate residues that cause an exposure exceeding the final NSRL would be included in the warning requirement, Delson said. As recently as June 20, Monsanto was continuing to press OEHHA to drop or delay the glyphosate listing, arguing that the IARC classification was invalid. OEHHA denied the request, clearing the way for the July 7 listing. The company also continues to press the issue in the courts; it’s lawsuit against OEHHA was dismissed by a Fresno County Superior Court judge in March but Monsanto appealed the dismissal and that appeal is still pending. The company’s effort to block the listing while the appeal is pending failed. Carey Gillam is the Research Director at U.S. Right to Know and a veteran journalist who specializes in coverage of food, agriculture and environmental issues.